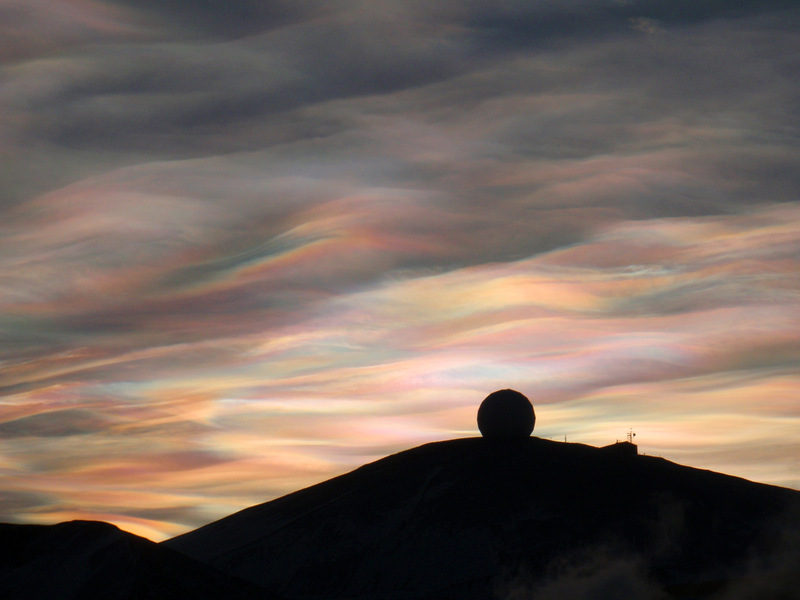 These clouds fly high in the stratosphere at about 15,000 to 25,000m (50,000 to 80,000 feet) and only form when temperatures fall below about -78°C (-108°F), to complete the extreme conditions, the winds are often very high as well having been recorded at 230kmh (144mph). Clouds in the stratosphere are very rare as it is so dry. At ground level however things are less dramatic but far prettier. The colours are an optical effect and so change with the position of the cloud as they move by and with the position of the observer. Picture taken 23/08/2009 12.25 - McMurdo Antarctica.